$2 Off Admission to Bible History Exhibits Come see replicas of the Dead Sea Scrolls and Shroud of Turin. Open Monday thru Saturday, 10 AM to 5 PM. Sunday call for appointment 717.288.2279. The Bible History Exhibits is located at the Yellow House on the east end of the Miller’s property. Valid for up to 2 adults. Not valid with any other discounts. Expires 12/31/19. Bible History Exhibits & Gift Shop is located at 2827 Lincoln Highway East (Rt.30) near Miller’s Smorgasbord Restaurant in the yellow house. 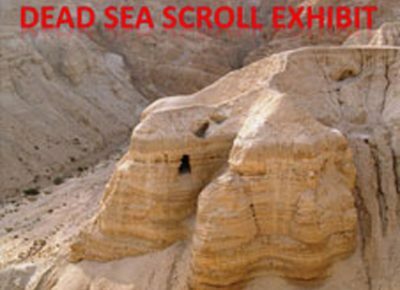 The Bible History exhibits feature the recreations of the renowned Dead Sea Scrolls including the famous Great Isaiah scroll, the Psalms, the Copper Scroll, and the Commentary on Habakkuk. Other highlights include replicas such as: the shroud of Turin, the Pilate description, the Rosetta Stone, key tablets related to Genesis, and artifacts related to the Exodus in Egypt. Experience the Bible like never before! Be able to see and touch artifacts from the ancient world and better understand the context of the Biblical Stories. For the hands-on adventurers, there is a simulated archaeological dig site. Be an archaeologist for a day and learn the basic principle archaeology. Have fun and learn at the same time. Dig pits include: dinosaur bones, sharks’ teeth, fossils, and many beautiful stones and minerals. Take a small bag of fossils home with you! The Gift Shop has many replicas relating to the Bible. We have ancient coins, oil lamps, and papyrus from Egypt and Israel.